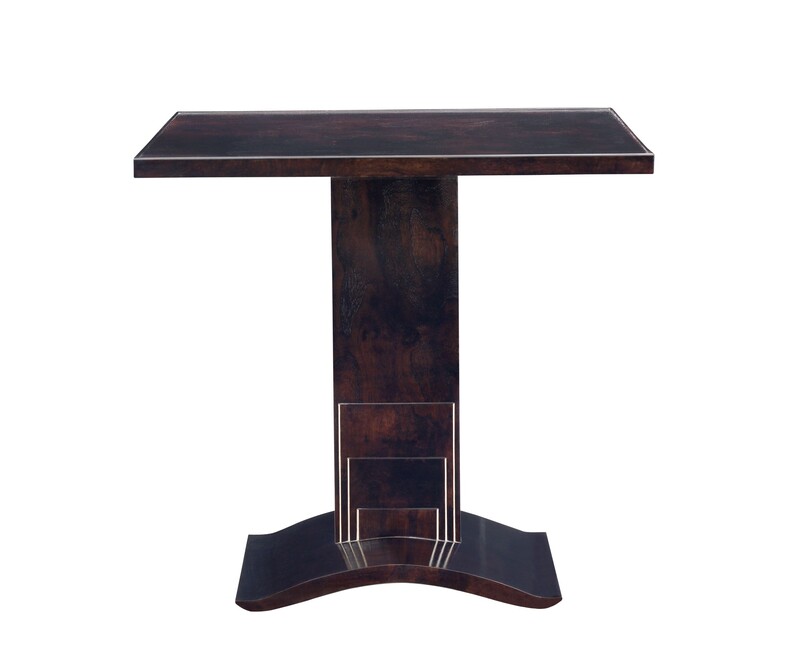 We have faithfully and lovingly reproduced Ruhlmann's rare Lambiotte table, veneered in Cluster American Walnut. The top is encircled with a small protective bead. The underside of the table top tapers down to meet the column which then tapers out and down to meet the arched plinth. The column is highlighted with three tiers edged with re-claimed ivory. The Lambiotte table stand as a work of furniture art. The design is superb and is one of our favorites.